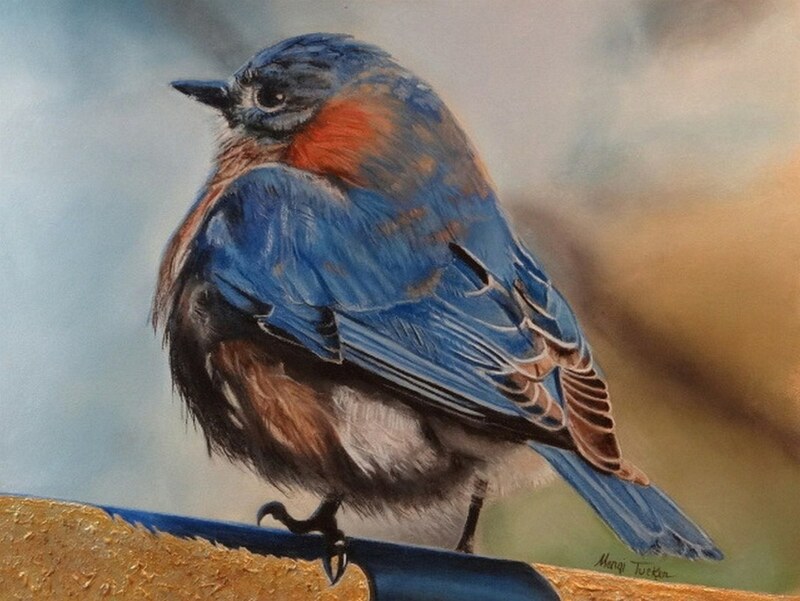 Blue on Gold is a detail painting of a beautiful bluebird that I was fortunate to photograph close up. This painting was awarded meritorious recognition in the 2017 Richeson 75 International competition. The original painting belongs in a private collection.